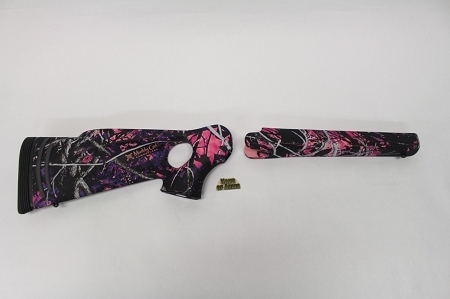 Custom RIGHT HAND THUMBHOLE Prohunter rifle stocksets in Muddy Girl Camo. These sets have been custom dipped by a local Colorado craftsman and they look fantastic. 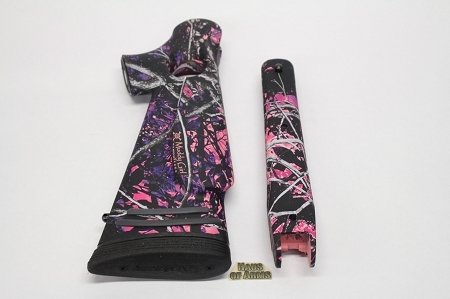 This is a new Thompson Center RH TH Pro Hunter Flex Tech rifle stockset. 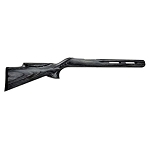 The buttstock will fit all Encore and Pro Hunter frames, the forend (made by Choate, and not a Prohunter model, I prefer this unit) will fit all Encore, Pro Hunter, and Bergara centerfire barrels. 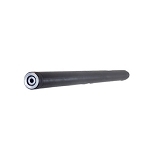 Forend attachment screws included. FlexTech TECHNOLOGY T/C teamed up with Sims, known for their recoil reduction technology, to develop a process that absorbs shock and vibration. The result is the FlexTech recoil reduction system. 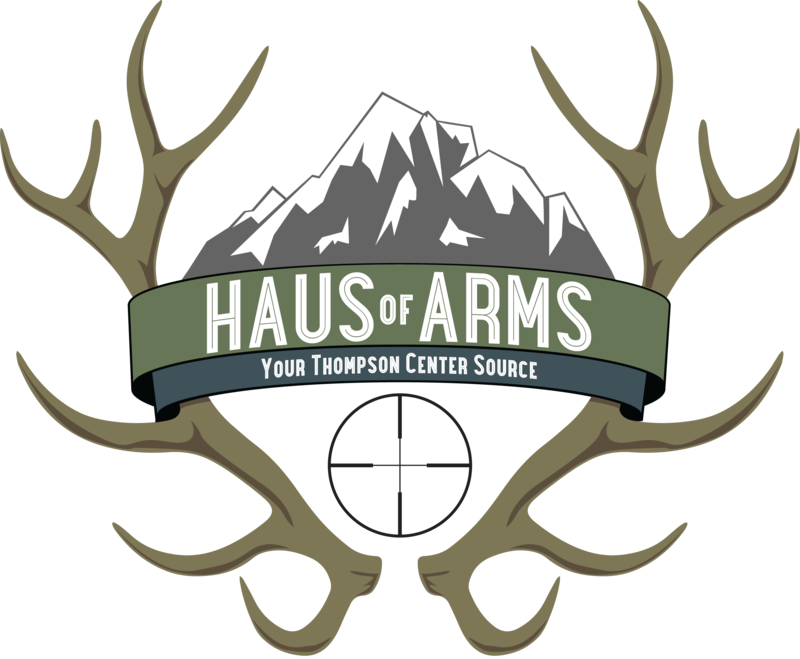 Reduces felt recoil by 43% Absorbs harmful recoil and vibration that punishes the shooter and damages or loosens scopes. 4 synthetic recoil arches create a crush zone that allows the stock to compress during the recoil process. 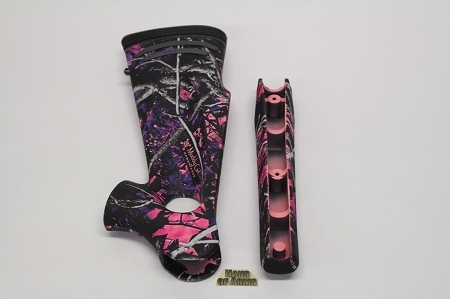 The limb saver recoil pad has dual compression chambers that displace the shock over a broad spectrum. 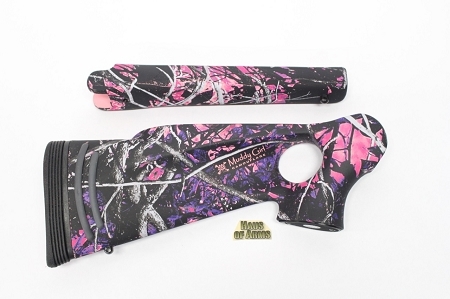 All of this is built in to the stock of the gun to give you, the shooter, better performance and comfort in the field.